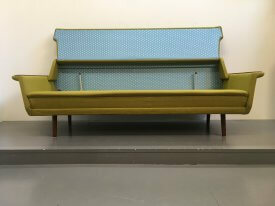 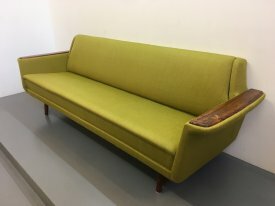 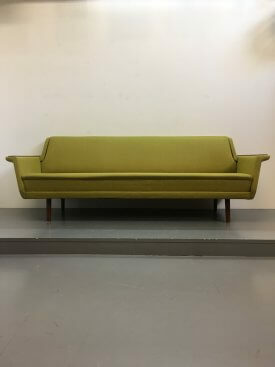 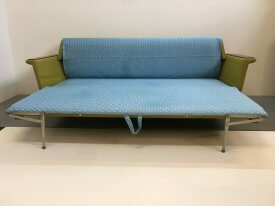 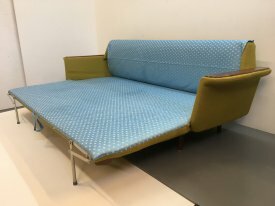 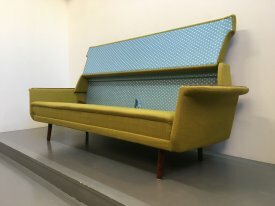 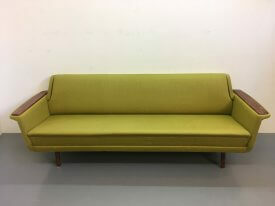 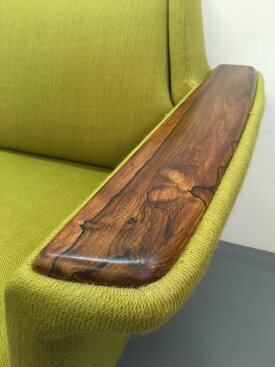 1960’s Norwegian 4 seat , double sofa bed. 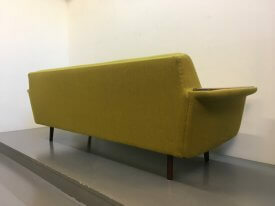 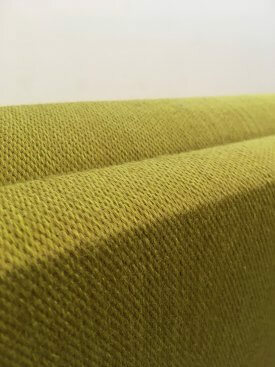 Upholstered in moss green wool blend with solid striking rosewood arms and turned tapered legs. 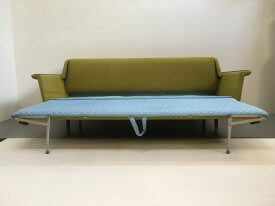 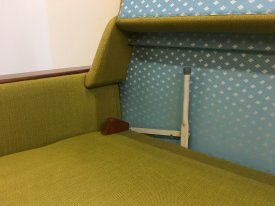 The sofa pulls out easily into a comfortable, lined double bed.